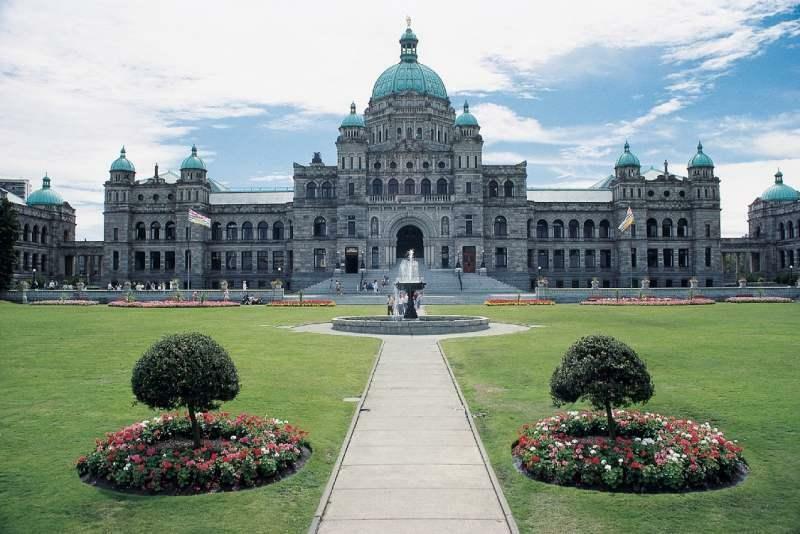 Designed in a neo baroque style the blue domed British Columbia Parliament Buildings are difficult to miss. Though visitors can do a self guided tour, it is recommended to do the guided tour that discusses the traditions and history of the building and the BC government. The tour even involves costumed actors that roam the halls acting out traditions that took place. If you happen to be there while the BC legislature is in session it is possible to sit in on parliament in action. During regular hours complimentary guided tours run about every 30 minutes. The parliament buildings are also ideally located right near to Victoria’s stylish inner harbour. Blessed with an abundance of natural beauty, Gold Stream Provincial Park has a variety of different outdoor activities to enjoy. Perhaps the most note worthy element of the park however is the yearly migration of the salmon up stream to their ancestral spawning grounds. Between October and December you can watch Salmon swim hard against the currents leaping in the air to make there way up stream. This is the kind of stuff you see on the nature channel happening in front of you. Park trails parallel closely the river and provide a great vantage for this event. If you are not here for the salmon migration wandering the parks trails and enjoying its massive cedar trees and waterfalls is also worthwhile any time of year. Visit the freeman King Visitor centre to get more information about the yearly Salmon migration. One of the must see tourists spots of Victoria is the inner habour. Lined with cafes, restaurants and bars the wide pedestrian streets of the Inner Harbour are always flooded with people and full of good cheer. Often there are buskers and street performers and always there are great views over Victoria’s harbour. Take advantage of the habour to sit at an outdoor cafe and soak in the action of the city with a latte in hand.